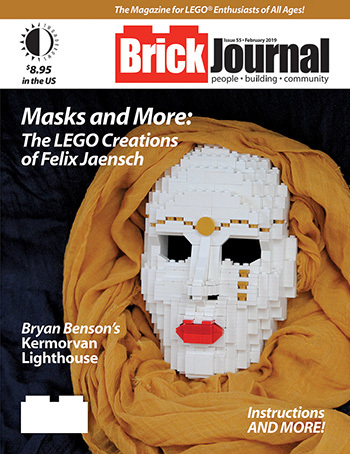 The new issue of BrickJournal (our LEGO fan magazine) ships today, and includes a look at Felix Jaensch’s remarkable LEGO sculptures, from realistic animals to the human skull and amazing face masks! There’s also a detailed Kermorvan Lighthouse built from LEGO bricks, a spectacular Winter LEGO layout, and more! You can preview it it and order HERE! This entry was posted in TNT on 29 January 2019 by Mr. Morrow. 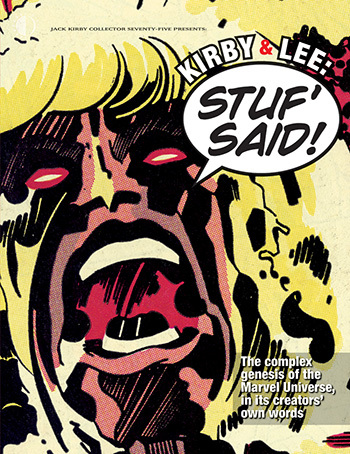 IN PREVIEWS NOW: Alter Ego #158, Comic Book Creator #20, Kirby Collector #76, and more! 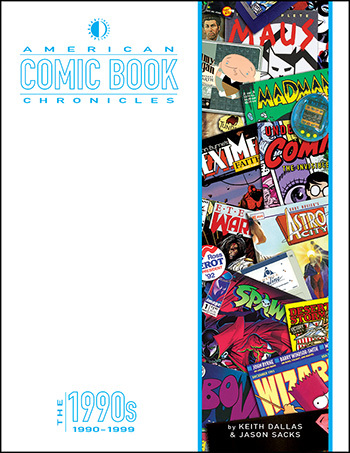 All our publications are in the front “Comics & Graphic Novels” section, alphabetically under “TwoMorrows”. JAN192159 ALTER EGO #158 – NEW! JAN192162 COMIC BOOK CREATOR #20 – NEW! 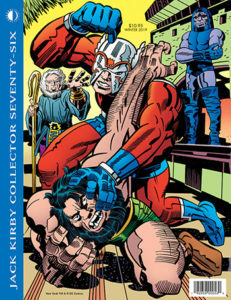 JAN192163 JACK KIRBY COLLECTOR #76 – NEW! JAN192164 SUPERMAN MOVIE BUNDLE (Back Issue #109 & RetroFan #3) – NEW! JAN192161 BRICKJOURNAL #57 – NEW! This entry was posted in TNT on 4 January 2019 by Mr. Morrow. Subscription price increase coming January 27! 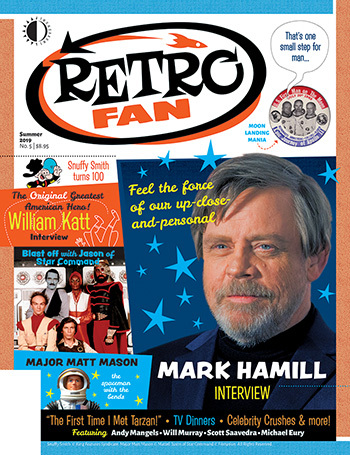 If you need to renew a subscription to any of our magazines, or were considering trying a new one (like RETROFAN, perhaps? ), now’s the time to order! The US Postal Service is increasing postage rates on Jan. 27, and we’ll have to adjust our sub rates accordingly. This entry was posted in TNT on 2 January 2019 by Mr. Morrow. A new year, and new releases! Happy New Year! And what a year it’s going to be, as TwoMorrows celebrates its 25th Anniversary on September 5, 2019! 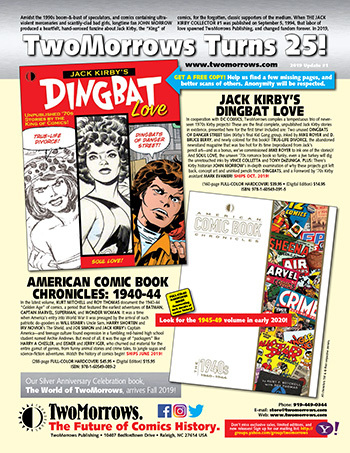 That’s a quarter-century to the date that I published JACK KIRBY COLLECTOR #1 back in 1994, unknowingly launching my crazy-fun career as a publisher of comics and pop culture-related books and mags. Thanks for sticking with TwoMorrows all these years! And get ready for many, many more! This entry was posted in TNT on 1 January 2019 by Mr. Morrow. 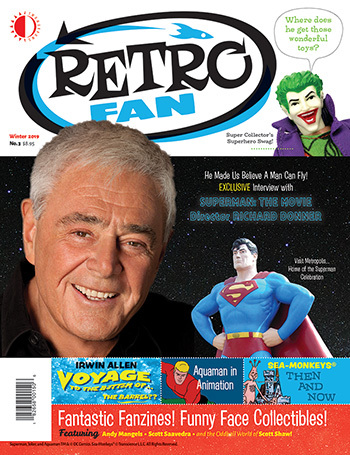 RetroFan #3 is out now! This entry was posted in TNT on 19 December 2018 by Mr. Morrow. 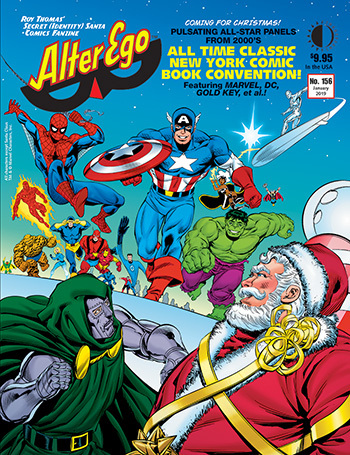 The merriest & brightest of the Golden & Silver Ages are in ALTER EGO #156 (now shipping)! 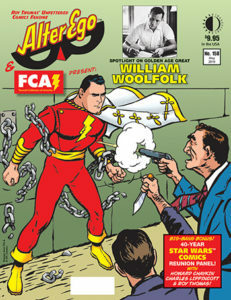 ALTER EGO #156 is now shipping! Silver Age Marvel, DC, & Gold Key (Severin, Sinnott, Ayers, Drake, Anderson, Fradon, Simonson, Green, Bolle, Thomas)! Plus John Broome, FCA, Mr. Monster, & Bill Schelly! With an unused Ron Wilson/Chris Ivy cover! This entry was posted in TNT on 12 December 2018 by Mr. Morrow. 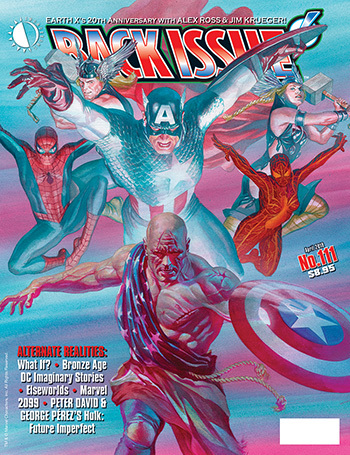 IN PREVIEWS NOW: Back Issue #111, RetroFan #4, and more! 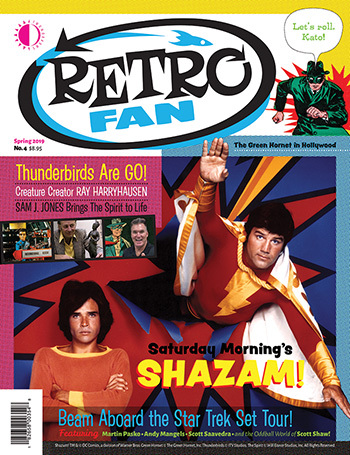 DEC182108 RETROFAN MAGAZINE #4 – NEW! 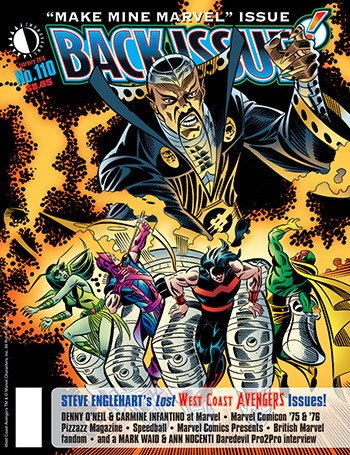 DEC182109 BACK ISSUE #111 – NEW! This entry was posted in TNT on 28 November 2018 by Mr. Morrow.